I wanted to tell you all that I’m going to attend Nadeshicon (https://www.facebook.com/nadeshicon ) in Quebec City on April 4-6 as a guest artist. I will be hosting two panels in relation to Frivolesque as well as have a table there the rest of the time. I hope you guys come and see me! Getting fanart, as far as I’m concerned, has to be the most satisfying feeling in the world. And when it’s fan art from someone with a completely different style yet who remains completely true to the character, I feel especially excited. 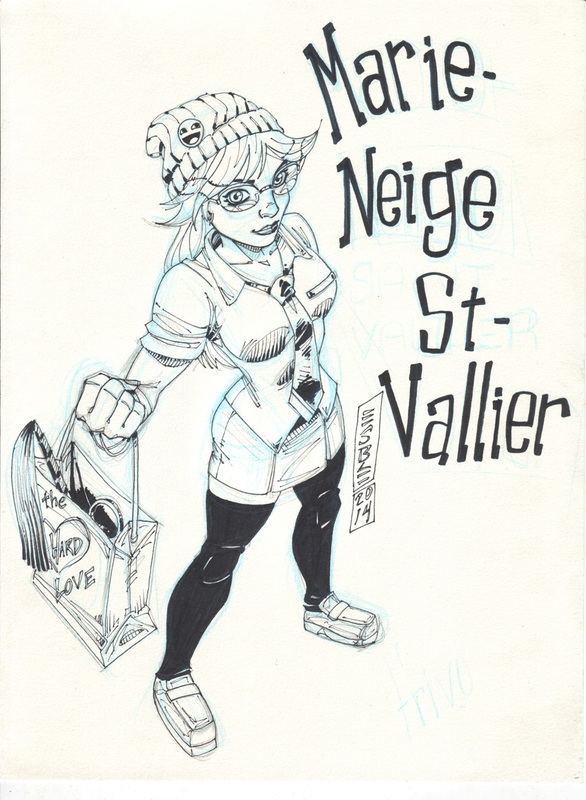 Without further ado, here’s Esbe‘s take on Marie-Neige! Here’s the third panel from today’s strip. It took so long to draw even though the characters are so simple in it. 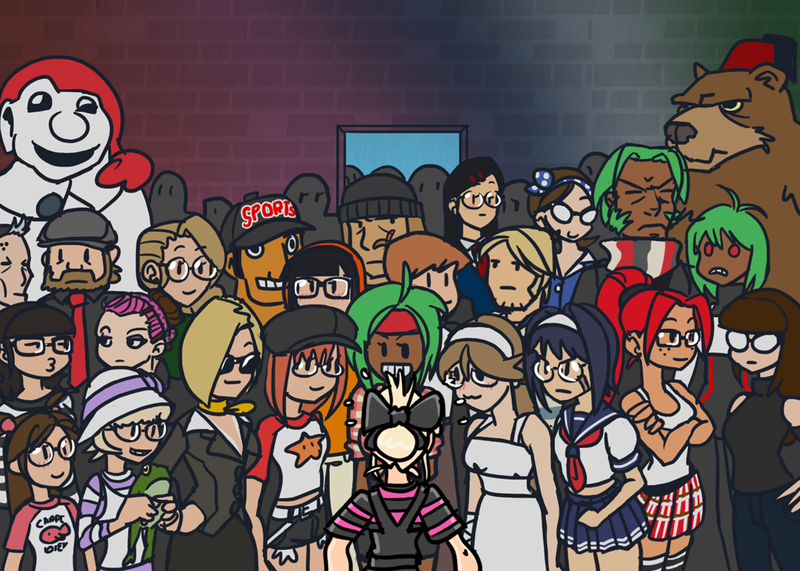 I tried to cram everyone that made a significant appearance in the comic in it. Along with some recurring extras, some of which haven’t even appeared in the strip yet. I should make a detailed, wallpaper-worthy version of this one day.